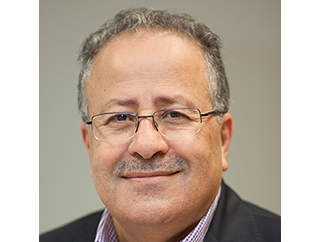 Mohammed Al-Hadid has served in the Standing Commission as chair and vice chair during his previous terms. He also chaired the 29th International Conference of the Red Cross and Red Crescent in 2006, which adopted the necessary statutory changes to accommodate the additional emblem, the Red Crystal, bringing a solution to the decades-long issue and allowing the Magen David Adom in Israel and the Palestinian Red Cross Society to join the Movement as full members. Mohammed Al-Hadid wishes to see a strengthened Movement, able to serve effectively the victims of wars and adversity in the ever changing world. He finds it important to analyze and learn from experiences especially in cooperation and coordination to ensure efficient response whenever needed. He would further want to clarify and strengthen the Standing Commission?s role as the trustee of the International Conference and involve more National Societies as primary actors when addressing the Movement?s internal and external challenges. Dr Al-Hadid received the Henry Davison Award at the IFRC General Assembly in Sydney on 11 November 2013 for his outstanding work in promoting peace and stability in the Middle East region.